I don’t know about you, but this cold yuck just gave me yet another excuse to bake and cook, well, yes, eat drink. I need to find some homes for diet inspiration! Homes that make me want to jump and move and burn fat! What? Homes as diet inspiration? Yes, actually. Beach homes are the perfect way to whittle down to a bikini-worthy waist. Gazing at those clear blue waters and sand, you drop the Kettle Chips toote suite and become a Breatharian, like Michelle Pfieffer. Hopefully, the physique will follow. Thighs too flabby? Go look at ski homes, and all the steps you get to walk up with those heavy ski boots dragging resistance on your feet. Do this preferably on your ipad while doing a few wall squats simultaneously. Homes with a lot of stairs just seem to pop out exquisitely chiseled quads in the owners from the moment you close. Which is why I love (fresh to the market) 830 Kessler Woods Trail. 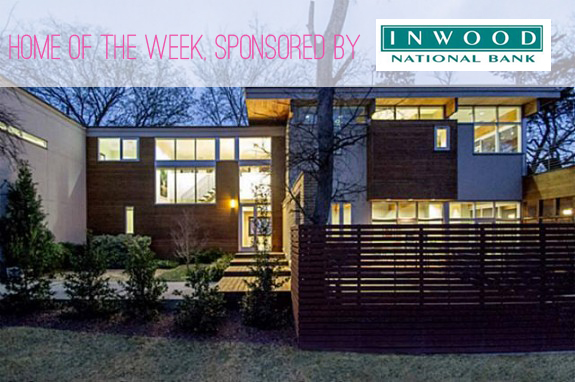 Sleek, sophisticated, modernist, this is a total Breatharian home. You know the area: 30 stunning residences in a gated residential development of highly sophisticated architecture inspired by the work of revered mid century masters Frank Lloyd Wright and Joseph Eichler. Surprise surprise, only three lots are left here, and two of those have homes going up. Dallas Realtor extraordinaire David Griffin lives in Kessler Woods, was one of the area’s very first evangelists. The homes at Kessler Woods are nestled on a real hill — not the “Pill Hill” that the area around Methodist is sometimes called — but a cliff at the edge of one of the oldest neighborhoods in the city, Kessler Park. 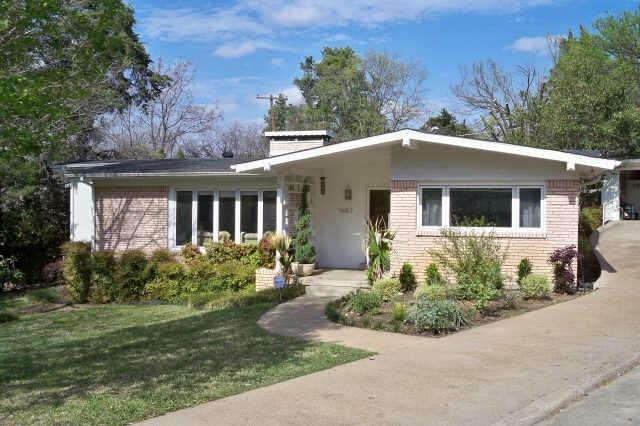 There are dramatic views of downtown Dallas and also of a beautifully landscaped center park. A small creek winds through the property amongst towering cedar and live oak trees. Lot sizes range from 7500 square feet to one-half acre, priced from $180,000 to $200,000. Really, Kessler Woods is about as close as you can get to living in Austin when living in Dallas. And staying fit. So Patrick Hammer, of Hammer & Partners, designed this creek-side home, built in 2006, with expansive walls of commercial-grade windows just pulling that outdoors in. Pull pull pull! 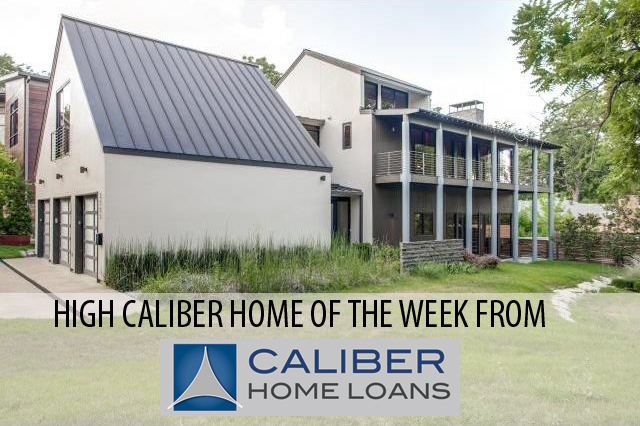 There are wide-plank oak hardwoods, floating stairs to bound up, formals including a soaring 2-story living room, dining room and open glorious kitchen. 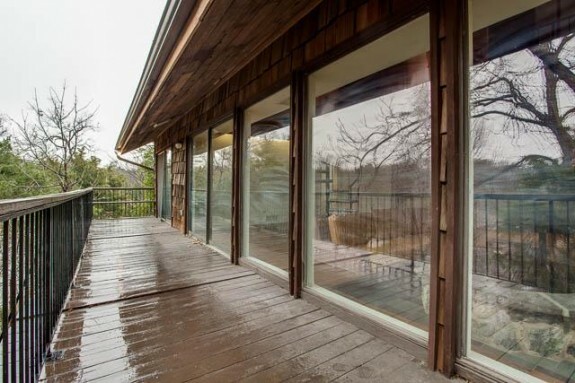 There is also a must-have in this part of town: a screened-in porch that totally extends your entertainment area or gives you a chance to rest with a glass of wine (150 cal max) to let your heart rate down. There are entertainment decks, more steps, and a jetted pool. I am in love with the master suite with fireplace, which is quickly becoming a standard necessity given our schitzo climate, and a beautiful spa master bath. There are four bedrooms, three and a half baths, plus a media and an exercise room YES ALL THAT! in 3631 square feet. 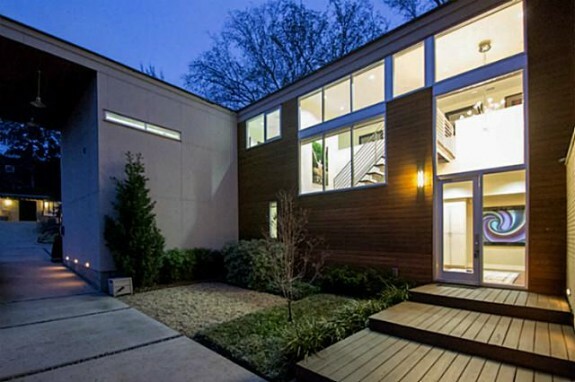 Best of all, you can grab this home for a wee bit more than one million: $1,025,000. You just know the folks at Inwood Mortgage will make that happen like of piece of cake with zero calories! I’m from Houston, so seeing a home on stilts is no big deal. You see them all the time along the many bayous and river bottoms. 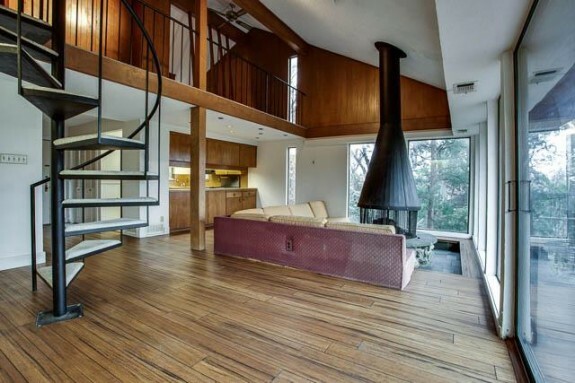 A home on stilts in Oak Cliff? Well, that’s unique! 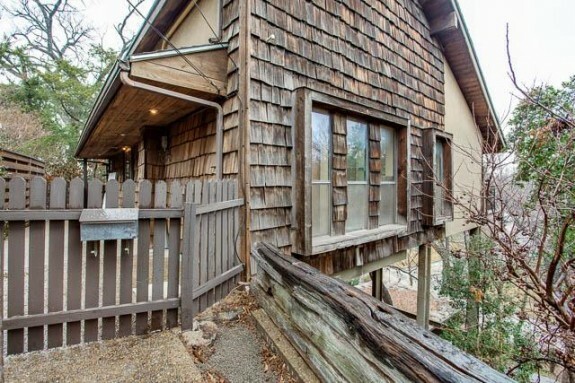 This house, 1658 Nob Hill Road to be exact, is perched among the treetops in Kessler Woods. 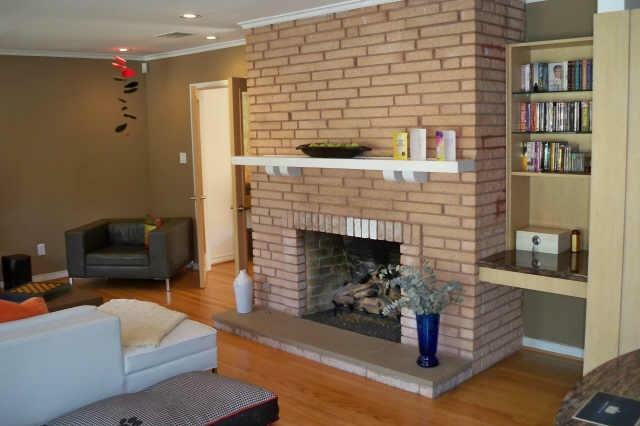 It has two bedrooms, two full baths, and one awesome living room. This home does need some serious updating, which might help you whittle down the $329,000 price tag. What’s awesome about this house? The huge windows, the fireplace, the sunken living room, the spiral staircase that leads to a loft-style bedroom, and of course all of those amazing views. Less than awesome? The upholstery on the couch in the sunken living room and all of that awful wood paneling. 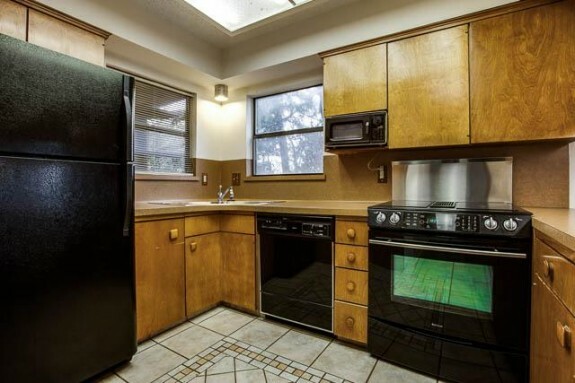 Of course, you’ll have to completely gut the kitchen and get rid of those upper cabinets that block the view (why do that?). But at least Virginia Cook Realtor Susan Melnick acknowledges that this home needs some work. It will be worth it, though. 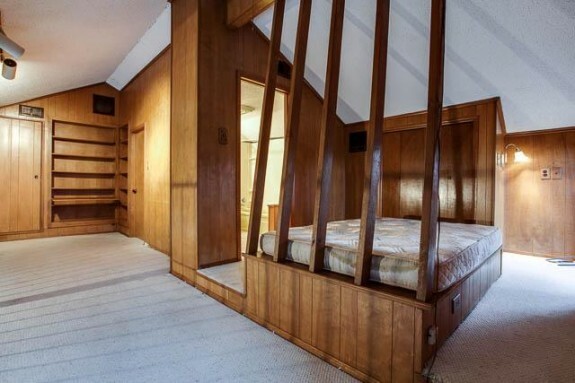 You’ll end up with a sweet master suite, too. Check out the master bath, which has two floor-to ceiling windows, and one of them gives you a great view from the garden tub! 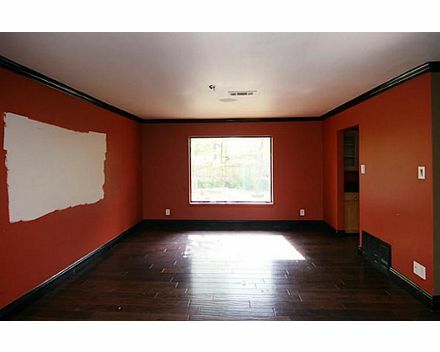 This house just oozes potential, but I kind of feel like the price is a bit high for how much work this house needs. What’s you’re opinion? If you were putting an offer down on this home, what would it be? 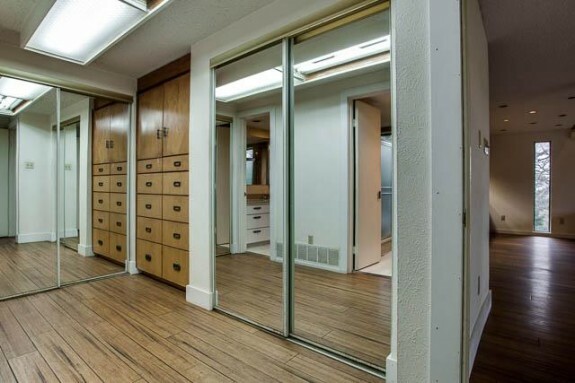 This Kessler mid century of 2391 square feet has had more than $70,000 of improvements poured into it since last seen on the market in , including a salt water pool! (That probably soaked up most of the moola right there.) 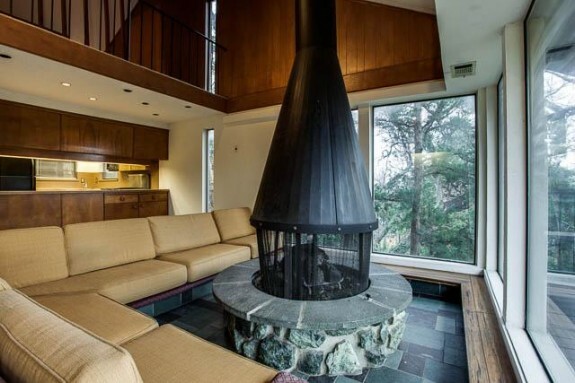 Built in 1954, you have authentic architectural details including formals, fully equipped updated kitchen with island and granite, open to second living area, featuring, of course, a gas log fireplace and access to the wonderful backyard and pool. Check out the incredible master suite with luxury bath, oversized closets, handy dandy laundry room and pool views. In fact, I think every room at 1687 Nob Hill Place has pool views. 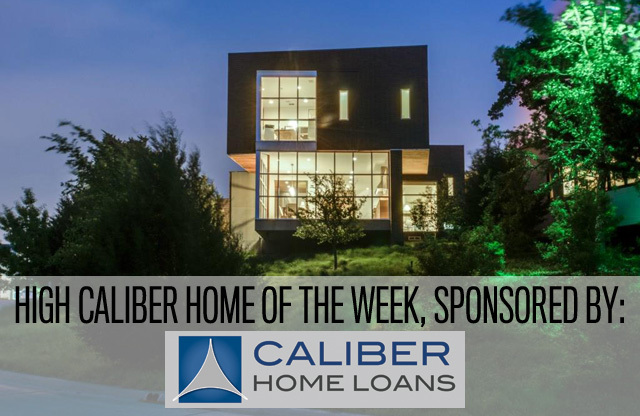 Kessler is hot, thanks to Bishop Arts and the new bridge, and this home has been significantly reduced. I mean, significantly! $449,000 from $459,000. 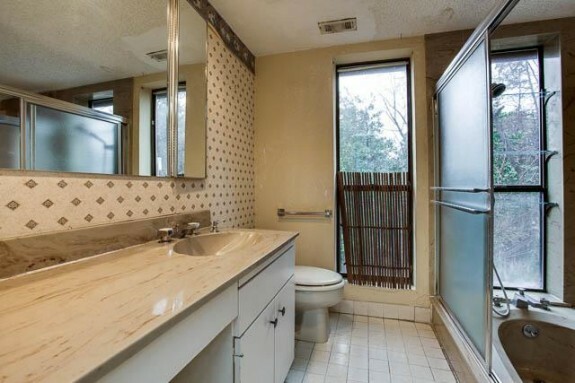 OK, so I jest but that is an indication these folks are serious about selling and I’m seriously loving everything about this house: it looks like a delicious piece of vanilla cake! Also like: three bedrooms and three and a half baths! 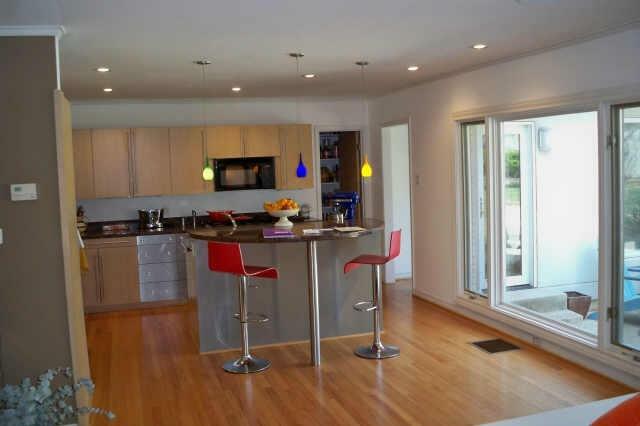 Here’s another project for you to steal down in Kessler Woods: $304,200, reduced from $319,000. 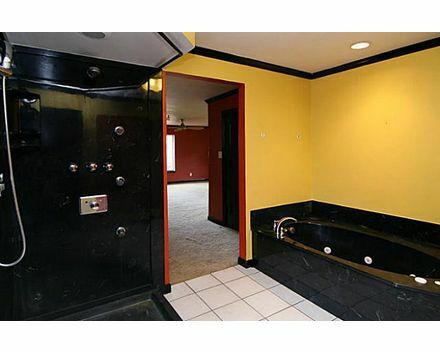 This house SOLD for $435,000 back in 2007. Great bones and a view that is more San Fran than Dallas. 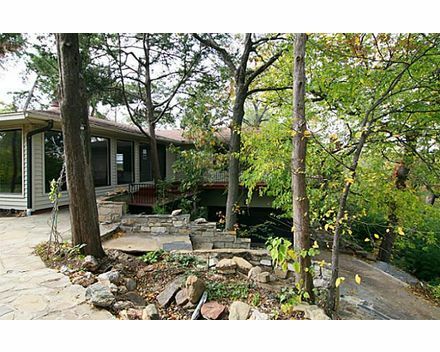 Hill top privacy with wrap around balcony and tree top views on an elevated .43 acre lot. 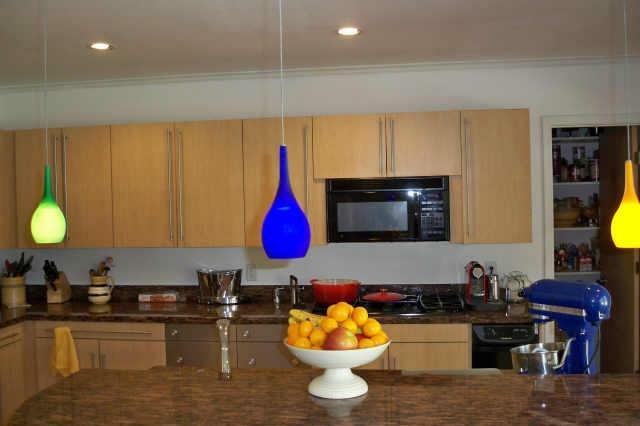 Great Chef’s kitchen with a Viking commercial range, custom stainless and granite countertops, designer cabinetry and built-in internet video screen. Huge master suite with private access to the back yard pool! About that Black is Black master bath — adios baby. I go in there and all I hear is the Stones’ “Black is Black” in my head. I would rip it all out and go clean white Carrera marble. More than 2400 sq.ft. 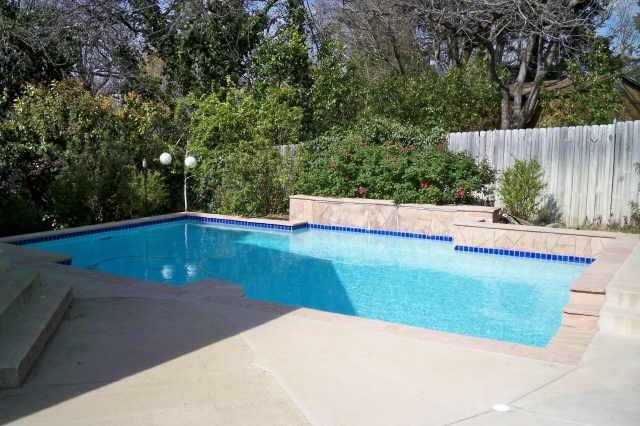 with three bedrooms, two baths including an outdoor entertainment area, with serene Japanese garden and Koi Pond. Which you will need with all that damn red in the house.